This was our 4th visit to Singapore. As usual, we made the pilgrimage out to the Jurong Bird Park on our own. This time we followed our Location Guide’s advice and got day passes, which are good for both the MRT and the bus. We were feeling a bit lost in the MRT and a very kind gentleman rescued us and made sure we knew which train to take and which direction to take it in. The MRT is really easy, but we have to learn it all over again every time we visit Singapore. It was a bit of a shock to see the entrance to the park, because we saw a lot of brown plants that should have been green. They have apparently had three months of drought, which has been hard on the plants. And the day we went it was very hot and the birds were really suffering from the heat. 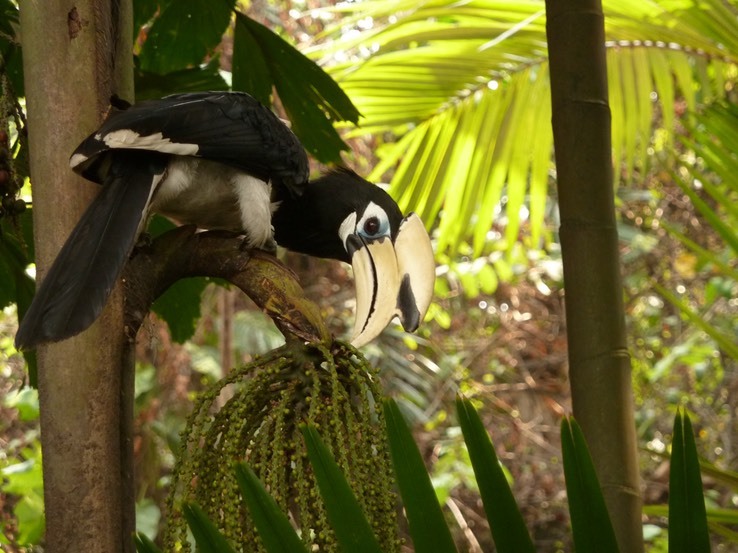 We checked out the fancy pigeons and the raptors, but our main focus seemed to land on the hornbills and toucans. There were about 15 varieties of Hornbills, several of which were nesting and had babies. Apparently the mother seals herself into the nest with the babies, and when they are big enough she comes out and the babies reseal the nest. There is a hole through which she can feed them, and sometimes you can see the little beaks poking out to get the food. One of the amazing things about Hornbills is that they all seem to be spring-loaded, or they have internal Pogo sticks. Unfortunately we did not realize what time the park opened, so we got there too late to see the morning shows. The afternoon show times were too late for us to be able to make it back to the ship for dinner, so this time we had to forego the shows. That was too bad because they are always a lot of fun, but we had a good time anyway. Despite the dryness, there were still plenty of beautiful Orchids and Heliconias blooming. Between the park and the MRT we probably walked about 5 miles today. Don’t forget to check out all the great bird photos in the photo album. 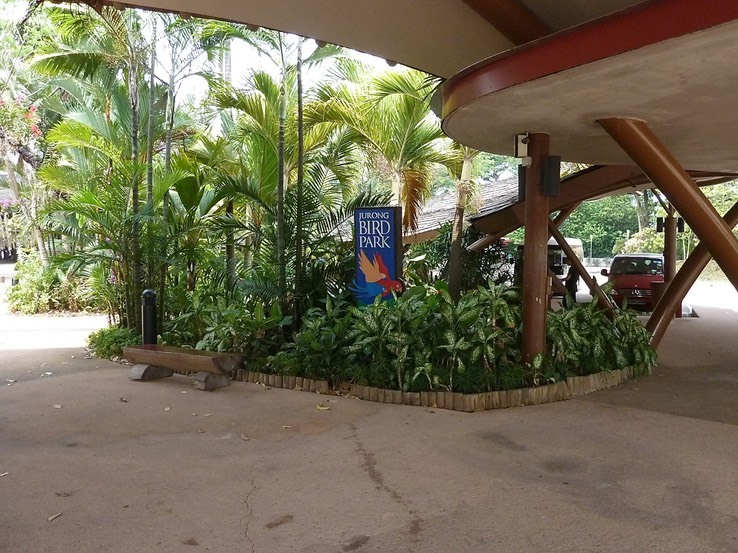 So now we’ve been to the Jurong Bird Park four times. Would we go back again? You bet we would! This park is a gem, and there is always something wonderful to see. In addition, it is easy to get to, taking the MRT and then a bus that goes directly to the park. We can guarantee that we will have a good time.